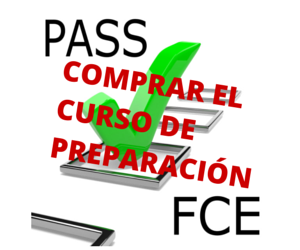 In this episode of PASS FCE….How to improve your speaking. 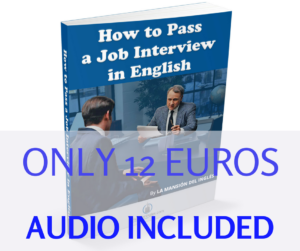 – Overview of the Speaking test – tips and advice on how to practise. More details in a later podcast, part by part. Welcome to PASS FCE, a Mansion Ingles podcast specifically created to help you pass the Cambridge First Certificate in English Exam. How to improve your speaking. Perhaps for many students the easiest part of the exam to pass, but the part that worries and stresses most students. 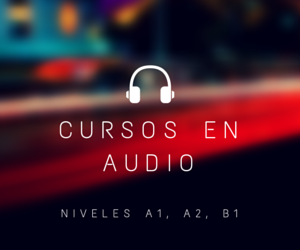 If you’re going to regular English classes, you should be getting speaking practice in class. If not, speak to your teacher. 4 parts – 14 minutes (2 minutes, 4 minutes, 4 minutes, 4 minutes. Part 1 – Introductions and answering questions on personal information. Speak about your family, home, job/studies, hobbies, holidays, future plans etc. Part 2 – Photos – you speak for one minute each and make a comment (about 30 seconds) after your partner has spoken. Compare two photographs. Give your opinion and say how the photographs make you feel. Listen and answer the question that the examiner asks you about the photos. Part 3 – You speak together with your partner. This is a discussion and decision-making task. Give (and justify) your opinion, make suggestions, agree (or disagree) with your partner, speculate and evaluate and try to reach a decision through negotiating. Part 4 – A discussion expanding the topic in Part 3. The examiner will ask you and your partner questions. Continue and develop the theme from part three. Give your opinion, speculate and agree or disagree with the examiner and your partner. Three people speak during the test; two candidates and an examiner. There will be another examiner in the room, but he/she is marking the test and will not speak. Occasionally there are three candidates in the test. In this case the test has the same format, but the time is longer (about 21 minutes). The speaking paper is worth 20% of the total exam. If you get a bad mark in the speaking, you can still pass the FCE exam. You do not lose marks if you ask the examiner to repeat a question. This shows good interactive communication skills. But if you ask too many times, you may lose marks for bad comprehension. DO NOT SPEAK IN YOUR NATIVE LANGUAGE! If you have a question or need clarification, ask in English. If you can’t think of a word, describe it in easy, simple English. – Get together with friends / workmates. Use material from the Cambridge website. In future podcasts we will be looking at each part of the speaking test in detail. In the next episode: The Listening paper – An Overview and tips and advice on how to improve your listening. If you like our podcasts, please leave us some stars and a short review on iTunes.